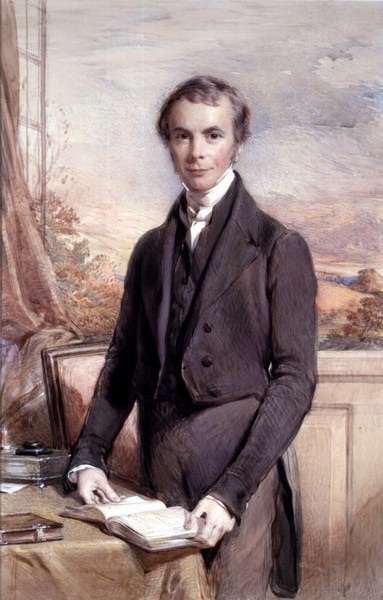 John Keble (25 April 1792 – 29 March 1866) was an English churchman and poet, one of the leaders of the Oxford Movement. Keble College, Oxford was named after him. Keble was born in Fairford, Gloucestershire where his father, the Rev. John Keble, was Vicar of Coln St. Aldwyns. He attended Corpus Christi College, Oxford, and, after a brilliant academic performance there, became a Fellow of Oriel College, Oxford, and was for some years a tutor and examiner in the University. While still at Oxford he took Holy Orders in 1815, and became first a curate to his father, and later curate of St Michael and St Martin’s Church, Eastleach Martin in Gloucestershire. Meantime, he had been writing ‘The Christian Year’, which appeared in 1827, and met with an almost unparalleled acceptance. Though at first anonymous, its authorship soon became known, with the result that Keble was in 1831 appointed to the Chair of Poetry at Oxford, which he held until 1841. Victorian scholar Michael Wheeler calls The Christian Year simply “the most popular volume of verse in the nineteenth century”. In his essay on Tractarian Aesthetics and the Romantic Tradition, Gregory Goodwin claims that The Christian Year is “Keble’s greatest contribution to the Oxford Movement and to English literature.” As evidence of that Goodwin cites E. B. Pusey’s report that ninety-five editions of this devotional text were printed during Keble’s lifetime, and “at the end of the year following his death, the number had arisen to a hundred-and-nine”. By the time the copyright expired in 1873, over 375,000 copies had been sold in Britain and 158 editions had been published. Notwithstanding its widespread appeal among the Victorian readers, the popularity of Keble’s The Christian Year faded in the twentieth century despite the familiarity of certain well-known hymns, e.g. “New every morning is the love. In 1833 his famous Assize Sermon on “National Apostasy” gave the first impulse to the Oxford Movement, also known as the Tractarian movement. Along with his colleagues, including John Henry Newman and Edward Pusey, he became a leading light in the movement, but did not follow Newman into the Roman Catholic Church. In 1835 he was appointed Vicar of Hursley, Hampshire, where he settled down to family life and remained for the rest of his life as a parish priest at All Saints Church. He was a profound influence on a near neighbour, the author Charlotte Mary Yonge. Two lives of Keble have been written, one by John Taylor Coleridge (1869), and the other by Rev. Walter Lock (1895). In 1963 Georgina Battiscombe wrote a biography titled John Keble: a Study in Limitations. Keble died in Bournemouth at the Hermitage Hotel, after visiting the area to try and recover from a long term illness as he believed the sea air had therapeutic qualities. He is buried in All Saints’ churchyard, Hursley. Keble’s feast day is kept on 14 July (the anniversary of his Assize Sermon) in the Church of England, and a commemoration observed on 29 March (the anniversary of his death) elsewhere in the Anglican Communion. Keble College, Oxford was founded in his memory. The view from Bulverton Hill, Sidmouth, is thought to have inspired 19th century poet and hymn writer John Keble to compose some of his best loved work, Keble’s Seat at Bulverton Hill is named after the English churchman and commands a panoramic view of the Lower Otter Valley and Dartmoor in the distance. 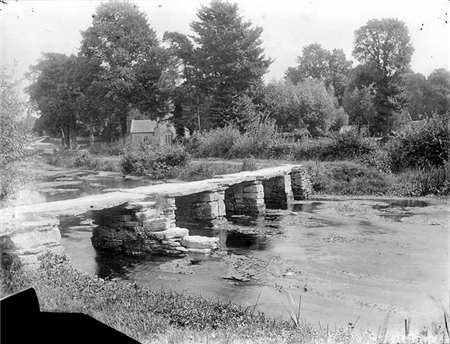 He was a frequent visitor to Sidmouth and folklore suggests that Keble’s favourite spot was at Bulverton Hill where a wooden bench known as Keble’s Seat remains to this day, the stone clapper bridge in Easteach is also named after him.